Off the back of wowing the audience and selling out his biggest headline London show at The Jazz Café last night, the highly acclaimed singer/songwriter Dan Owen has today announced the largest headline tour of his career so far. 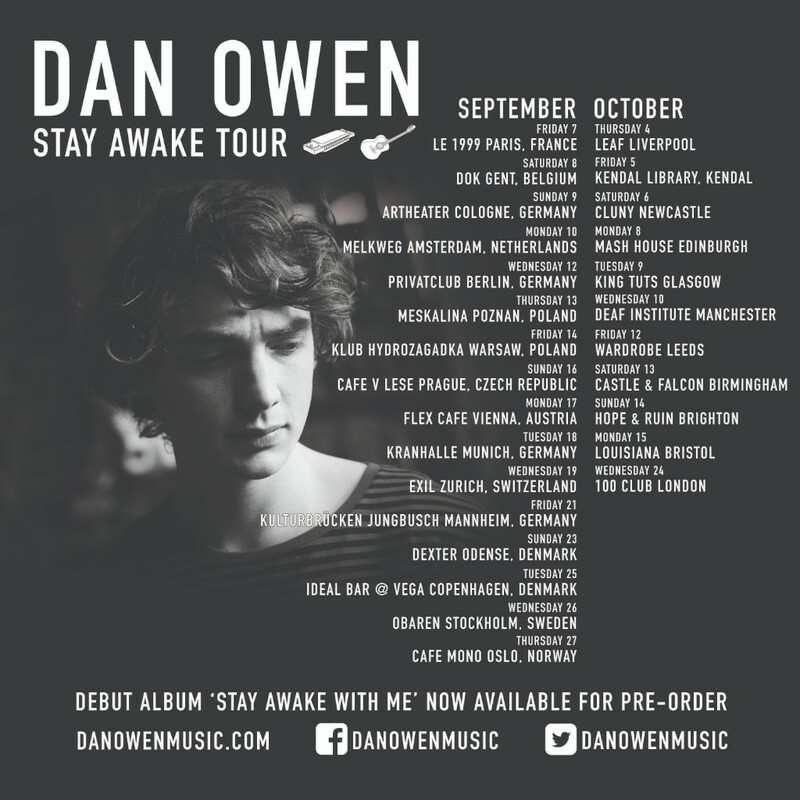 Dan will be touring in support of his forthcoming debut album Stay Awake With Me, out on August 17th via Atlantic Records. The album features the critically acclaimed singles ‘Made To Love You’, ‘Icarus’, ‘Hideaway’, ‘What Is A Man’ and ‘Moonlight’. ‘Made To Love You’ has amassed over 12 million streams on Spotify, while ‘Icarus’, ‘Hideaway’ and ‘What Is A Man’ have all proved hits at radio with support for the singles coming from Radio 2, Radio 1 and Virgin Radio. Stay Awake With Me is informed by the 25 year-old’s journey through life, which has seen him sell out numerous headline shows across the UK and Europe, perform for politicians at Westminster and party with Willie Nelson in Nashville. Inspired by life-changing moments such as helping a friend through a period of domestic abuse, the loss of his grandfather and a tragic carpentry accident which left Dan blind in one eye, his songwriting is touching hearts across the world.